How do I get the best deals on secondhand equipment? Because of the expertise and network required to ensure that a you are getting a legitimate and fair deal, the best way to get a good deal on used printing presses and equipment is to work with a trusted dealer who knows the industry. While honest dealers work diligently for their clients, there are unfortunately many unscrupulous dealers offering “amazing deals” on printing presses who then go on to take your money without delivering the equipment. Printer’s Parts & Equipment has more than 40 years of experience in the industry and a vast network of contacts and resources. 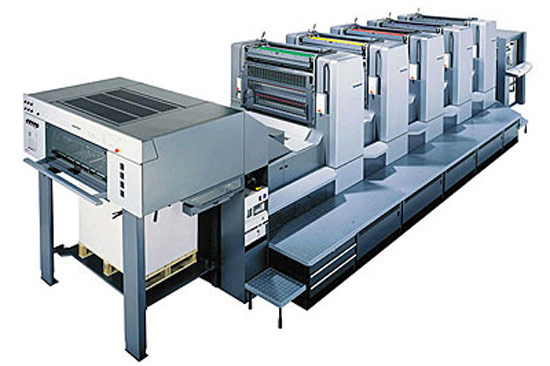 We are a trusted source and consultant for getting the best deals in the graphic arts machinery market. With extensive relationships with all of the new manufacturers, we are privy to many trade-ins and deals not available to the market at large. Our vast purchasing power allows us to purchase entire print shops, bankruptcies and liquidations, which many brokers or smaller dealers have no access to. Our network of technicians, mechanics and riggers allow us to dismantle, transport and install equipment at very competitive prices unrivaled by our competitors. Regularly buying for inventory allows us to negotiate the best prices with vendors when compared to other resellers in the industry. At any given time, we carry millions of dollars worth of inventory, making it easier for you to find what you are looking for faster. What are the advantages of buying secondhand equipment versus new equipment? There are significant cost savings in buying secondhand printing presses over buying new graphic arts machinery. With consistently decreasing margins on printing and increasing costs and competition, secondhand equipment allows you to maintain your competitive edge in the marketplace. Buying the latest equipment often involves a “teething” or “breaking in” process where the customer ends up being the guinea pig for the manufacturer. Buying secondhand gives you the option to select the tried, tested and trusted makes and models available on the marketplace. Like any new, depreciating asset, once a new customized press hits your floor, the resale value significantly decreases. Buying secondhand allows you to get the best value for your money and prevent the initial significant decrease in resale value. What are the disadvantages of buying secondhand equipment? If the press is not properly inspected, you may be stuck with a press with many deferred maintenance issues. When you get a press through Printer’s Parts & Equipment, we ensure all equipment is thoroughly inspected by qualified mechanics before purchasing. What should I look for in buying a secondhand printing press? Lower impression counts usually suggest the equipment will require less maintenance in the short term. Ensuring the press is registering accurately is essential to avoid costly repairs in the future. Major concerns usually are gears and cylinders, and we ensure we check these for all machines we buy. Buying from a reputable dealer who can be trusted to be there for you after the sale is essential.